It’s thought around 1 in 500 people are affected by Parkinson’s disease, which means there are an estimated 127,000 people in the UK with the condition. Most people with Parkinson’s start to develop symptoms when they’re over 50, although around 1 in 20 people with the condition first experience symptoms when they’re under 40. Parkinson’s Awareness Week starts today with lots of different activities taking place around the country raising awareness and much needed funds to carry out research on finding a cure. Parkinson’s is a progressive neurological condition which means that it causes problems in the brain and gets worse over time. The brain becomes damaged and affects the ‘messages’ that are sent from your brain to the other parts of your body. You can find additional support and advice on Parkinson’s Disease in the Resources section of the Liferaft website. The American actor, Michael J Fox is a trailblazer when it comes to raising awareness of Parkinson’s Disease? As someone who has Parkinson’s, he has set up his own Foundation to fund research into a cure for Parkinson’s Disease. To find out more, click here. Parkinsons UK have their own blog forum giving you the opportunity to communicate with people who have Parkinson’s Disease. Find out more about the forum here. 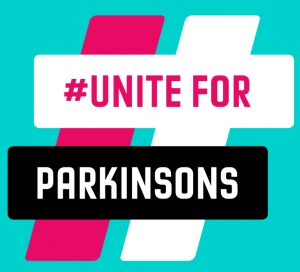 The theme for this year’s World Parkinson Day is Unite and you can share your story of Parkinson’s Disease by using the #UniteforParkinsons and join the global community in raising awareness. How Can Liferaft Help Me? Liferaft is way to stay on top of all the information that comes with caring for someone and to share that information with the people who need it. It’s a secure place online where you can keep and update all the details about your health (or the health of a loved one), their care and well-being. Through a tablet, laptop or phone, you can keep your care network up to date, on screen or on paper. To find out more about Liferaft and how it can help someone with Parkinson’s Disease, click here.